“Why in the world should a Virginia harbor worker be denied benefits that are provided for other Virginia citizens who work in a business across the street from the harbor?” said Deborah C. Waters, general counsel for the longshoremen’s union. Arthur W. Moye Jr., executive vice president of the Virginia Maritime Association, which represents more than 400 member organizations employing more than 70,000 workers in port-related jobs, said the primary reason for seeking the legislation was duplication. “There’s a lot of things that the state act does that the longshore act doesn’t cover,” said Stephen Harper, a Richmond attorney and chairman of the workers’ comp section of the Virginia Trial Lawyers Association. In the event of a fatal injury, for example, the state program offers the family of the victim a $10,000 funeral benefit plus $1,000 in transportation costs, Harper said. Under the federal program, the maximum funeral benefit is $3,000. Under the state and federal plans, Harper said, if a worker suffers a permanent injury, such as a crushed ankle, that prevents him from returning to his old job, he is eligible for compensation for a certain period of time, based on a doctor’s evaluation of the degree of impairment. In most cases, once the payment is made under the federal programs, the insurer’s obligation ends. Through the state workers’ comp program, however, benefits can last as long as 500 weeks, or 9-1/2 years. In Kansas, House Bill 2531 is poised to diminish workers comp as well. The law changes how those appointed to hear workers’ comp cases are selected. It is alleged that the new selection process skews anti-worker: Such judges are now chosen by a panel consisting of one member picked by the Kansas Chamber of Commerce and one picked by the Kansas AFL-CIO. The bill would use a seven-member panel composed of the state labor secretary, a person from an employee organization chosen by the labor secretary, and representatives of the Kansas Chamber of Commerce, National Federation of Independent Businesses, Kansas AFL-CIO, Kansas State Council of the Society of Human Resource Management and Kansas Self-Insurers Association. More people at the table may be a good idea, but the proposed lineup is hardly rich with employee representation. 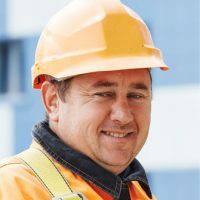 Businesses enrolled in the Certified Workplace Safety Committee program of Pennsylvania’s Department of Labor and Industry (DOLI) receive an additional 5 percent discount. Currently 9,652 businesses have certified safety committees. Participating businesses have realized insurance premium reductions totaling $432.8 million since the program began, DOLI reports. “Pennsylvania employers are able to benefit from the outstanding job they are doing to provide safer workplaces,” said Labor Secretary Julia Hearthway. In Wyoming, nearly $1,000,000 in workers compensation has gone unpaid, according to the WyoFile: Did you know; of Wyoming’s 18,228 employers 1,212 of them are delinquent on their Wyoming Workers’ Compensation premiums — to the tune of $943,498.73, according to state officials? That’s 6.6 percent of Wyoming’s employers who pay into Wyoming Workers’ Compensation — delinquent. $1 million. Yet, those delinquent employers still enjoy legal immunity for their own proven negligence in a worker injury/death — because that’s part of the compromise of workers’ compensation? St. Louis County Democratic Sen. Tim Green drafted — but did not offer — an amendment that would have excluded occupational diseases from the compensation program. He said curable injuries like carpal tunnel syndrome aren’t similar to lethal diseases such as mesothelioma, a type of cancer that can be caused by exposure to asbestos. “I don’t think they should be treated the same,” Green said. “Putting it back in the workers compensation system isn’t right and that’s what this bill did.” The legislation would also prevent illegal immigrants or people who are in prison from collecting workers’ compensation benefits. The bill is expected to breeze through the Missouri House. A surprising bright spot is South Carolina which is attempting to make up the decrease in workers comp responsibility that business owners have witnessed since 2009: South Carolina employers could see their workers’ compensation premiums increase next year if state regulators go along with a proposed 7.3 percent increase in the state’s loss cost rates. The National Council on Compensation Insurance filed for the proposed increase earlier this month, making it the first such proposed increase since 2008. Most recently, the state has seen three loss cost decreases totaling 13.4 percent. 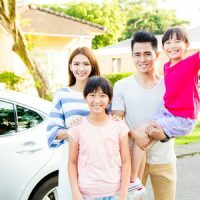 Based on 2009 and 2008 policy year data, the rate filing calls for a 5.3 percent increase in experience, a 2.2 percent increase in trend, a 0.1 percent increase in benefits, and a slight decrease of 0.4 percent in loss adjustment expenses. Even if the current proposed rate change is approved as filed by South Carolina Acting Insurance Commissioner Gwendolyn Fuller McGriff, employers will still have seen a cumulative decrease of 7.1 percent since 2009. The paper said that, according to recent research by JPMorgan Chase, the government was mailing out disability checks to about 10.5 million people, including 2 million to spouses and children of disabled workers, at a cost of about $200 billion annually. The stagnant economy has grown those ranks. About 5.3 percent of the population between the ages of 25 and 64 are collecting federal disability payments, a jump of 4.5 percent since the recession hit in 2009. There is no question these numbers represent a drastic leap, but how our system treats the injured and disabled is not to be taken lightly. JPMorgan and The New York Post have been champions of the austerity that has been the enemy of many a necessary program from a worker standpoint. Workers compensation can ill-afford to be next on the chopping block.